Aina Suzuki entered the 7th Anisong Grand Prix as the winner of the Sapporo qualification round, later entering the best three in the Tokyo finals. 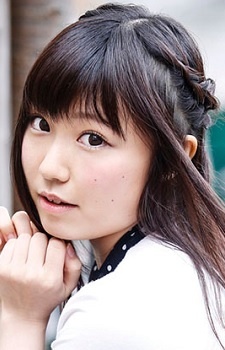 After graduating from high school, she moved to Tokyo with the goal of becoming an anisong singer. Suzuki enrolled in the International Academy of Media in April 2014 and began work as a seiyuu. She later affiliated with its IAM Agency. Ever wonder what being part of a royal family is like? Joukamachi no Dandelion (Castle Town Dandelion) takes on a fresh approach to the life of royalty and the bonds of family as the nine siblings of the Sakurada family fight for the throne! Joukamachi no Dandelion, also known as Castle Town Dandelion, revolves around the Sakurada family, also known around town as super-power wielding royalty. For this family of nine siblings, it’s a battle to the throne! Just who will become the next king? This Shorty is Equuleus Shoko. Same height as kuwahara yuuki so i call her shorty too. but good job. i thought i heard jashin in my spicy anime !! her enka-style singing was legit and funny in Jashin-chan, totally didn't see that coming hahaha!